After a long summer of hard work in the laboratories, researchers in the Graphene Flagship are ready for two experiments this week, testing graphene technologies for space-related applications in collaboration with the European Space Agency (ESA). Two teams of researchers will explore the benefits of graphene as a light-propulsion material in solar sails, and as a smart coating in loop heat pipes for satellites. Both experiments will be performed in microgravity conditions, to simulate the extreme conditions in space. The solar sails will float in microgravity in a drop tower experiment, while the research team investigating heat pipes will experience weightlessness onboard a parabolic flight. 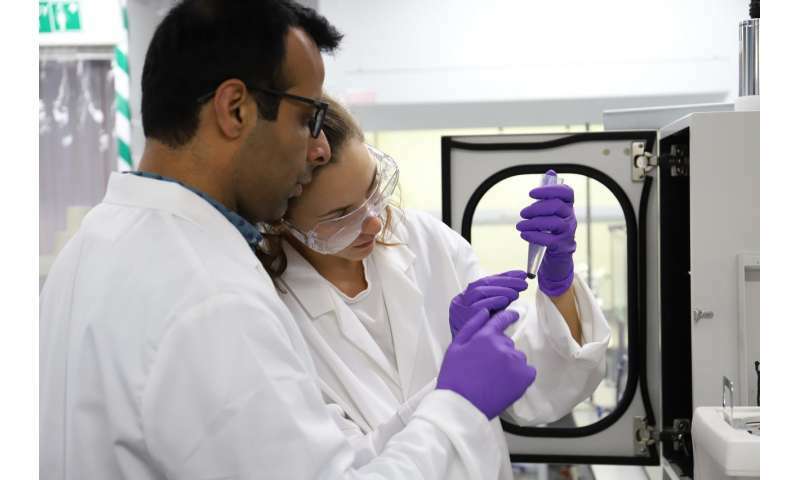 The Graphene Flagship is a pan-European research consortium committed to bringing graphene technologies through research laboratories to mature applications. 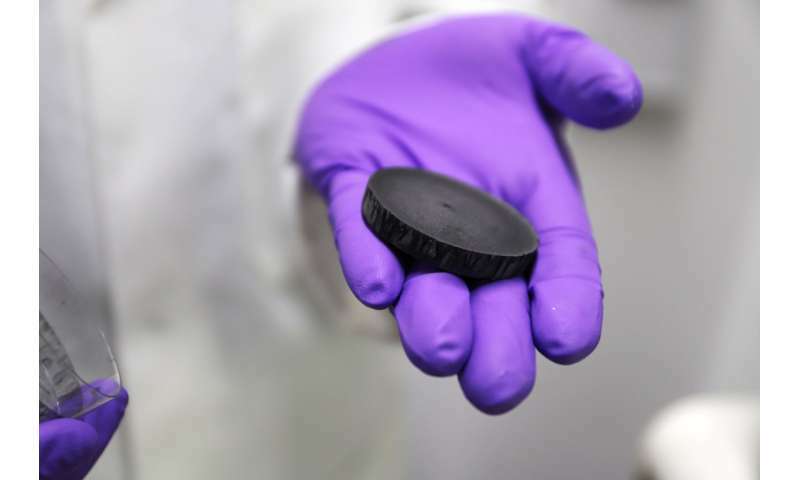 Graphene, the single-atom thick carbon sheet, is promising for a range of applications thanks to its excellent electrical, mechanical and thermal properties. These properties will now be tested in extreme microgravity conditions, expanding graphene's potential into new areas. Loop heat pipes are cooling systems used extensively in satellites and aerospace applications. Cooling is achieved by converting a working liquid into gas inside a wick, drawing energy from the hot instrument to be cooled. Following promising results on the ground, a team of researchers from the Graphene Flagship aim to demonstrate that coating the wicks with graphene can improve the effectiveness of the heat pipe even in microgravity conditions. To test the graphene-coated wicks in microgravity conditions, the researchers will take part in a low-gravity parabolic flight operated by ESA in partnership with Novespace. By performing a series of parabolic manoeuvres, microgravity is simulated in the flight, and the researchers will experience weightlessness. "I'm really excited, I've never done anything like this before," said Dr Meganne Christian, a researcher at CNR. "Getting to see these materials that we've been working on for so long, finally work in the conditions that we want them to is really exciting." "I am excited about the experiment and looking forward to experiencing low gravity," said Dr Yarjan Samad, a researcher at the University of Cambridge. "Performing the experiments in microgravity will be a challenge, but we have all done a lot of work and I think we will get great results in improving the performance." The experiment is a collaboration between Graphene Flagship partners at the Microgravity Research Centre, Université libre de Bruxelles, Belgium; the Cambridge Graphene Centre, University of Cambridge, UK; Institute for Organic Synthesis and Photoreactivity and Institute for Microelectronics and Microsystems, National Research Council of Italy (CNR), Italy; and Leonardo Spa, Italy, a global leader in aerospace, operating in space systems and high-tech instrument manufacturing and in the management of launch and in-orbit services and satellite services. Dr Marco Molina (Leonardo), said "We are happy to take part in the experiment and test the use of graphene for satellite loop heap pipes for the first time. Mastering emerging technologies like graphene, and using them to develop of cutting-edge products is of prime importance for a company like Leonardo, which bases its competitiveness on innovation." Light sails can propel objects in space using pressure from light shining on a reflective surface. GrapheneX, a team of PhD students from Delft Technical University (TU Delft), Netherlands, have developed an experiment to test graphene's potential for use in light propulsion, by shining laser light onto free-floating graphene membranes in microgravity. The TU Delft Space Institute, Netherlands, is also providing support to the GrapheneX project. 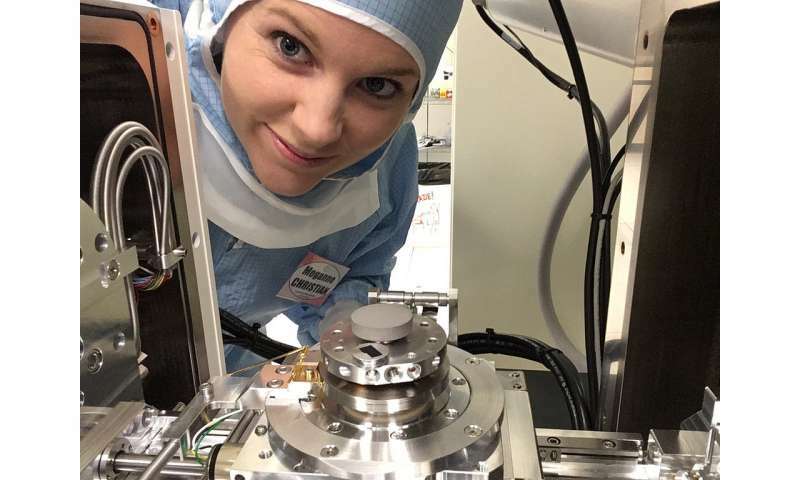 "If you want to make a solar sail it's very important that the materials you make the sail out of is very light," said Vera Janssen (TU Delft), a PhD student involved in the GrapheneX project. "The ultimate lightness and the strength are really the main advantages of using graphene,"
The experiment will be performed at the ZARM Drop Tower in Bremen, Germany as part of ESA Education's Drop Your Thesis! programme, which invites students to propose ideas for microgravity experiments. To create extreme microgravity conditions, down to one millionth of the Earth's gravitational force, a capsule containing the experiment is catapulted up and down the 146 metre tower, leading to 9.3 seconds of weightlessness. "Facilities like the ZARM Drop Tower are something impressive, in the scale they are and the number of things that have to work together to be able to function properly. I'm very honoured to go there," said Rocco Gaudenzi (TU Delft), another PhD student who is part of the GrapheneX team. These two ambitious experiments are an excellent demonstration of graphene's diverse potential, and will lay the groundwork to expand the frontiers of graphene research. Prof. Jari Kinaret (Chalmers University of Technology, Sweden), Director of the Graphene Flagship, said "These two projects exemplify the two-fold character of the Graphene Flagship: the loop heat pipe project is targeting a specific application, while the light sail project is firmly linked to basic research and builds upon the unique combination of properties that only graphene can offer. I am particularly proud of the fact that one of these projects was initiated by students working on area completely disconnected from space applications: this demonstrates the creativity of the next generation of researchers, and shows the sometimes-surprising links between different parts of our Flagship - or maybe I should say spaceship?" Prof. Andrea Ferrari (University of Cambridge), Science and Technology Officer of the Graphene Flagship and Chair of its Management Panel added "These are the first experiments where graphene is tested in near zero gravity conditions for space applications, and the first collaboration between the Graphene Flagship and the European Space Agency, with a clear path to applications, thanks to the Flagship Partner Leonardo, a world leading aerospace industry. We have already a roadmap to take graphene further in the space industry across the next two to four years, with an additional two zero gravity campaigns already confirmed."